In this episode of Insurance Law Radio, host Scott Seaman, a Chicago-based partner and co-chair of Hinshaw's Insurance Services Practice Group, is joined by Simon Laird, the Global Head of Insurance at the London, Singapore, and Hong-Kong based law firm of Reynolds Porter and Chamberlain (RPC). RPC recently announced a strategic alliance with Hinshaw & Culbertson LLP. 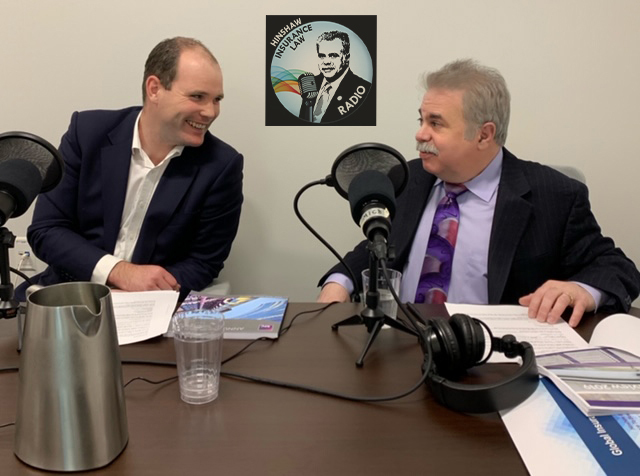 Simon (pictured, left) and Scott (pictured, right) talk about international claims challenges keeping claims executives up at night, along with key insurance developments and things to watch in the U.K., Europe, and Asia. The pair also discusses the recently published RPC "Annual Insurance Review," to which Hinshaw contributed a section on key 2018 developments and outlook for 2019 in the United States.